This monumental door is not only the symbol of the Istanbul University, but also the symbol of “the concept of university” in Turkey. 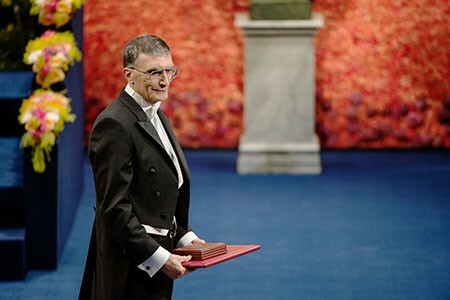 Aziz Sancar, who is awarded the Nobel Prize in Chemistry in 2015, graduated from İstanbul University Faculty of Medicine, 1969. 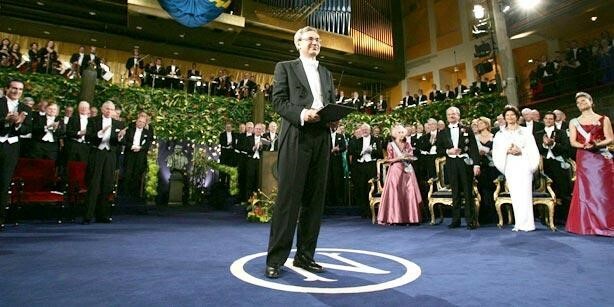 Orhan Pamuk, who is awarded the Nobel Prize in Literature in 2006, graduated from Istanbul University, Faculty of Communication, 1977. 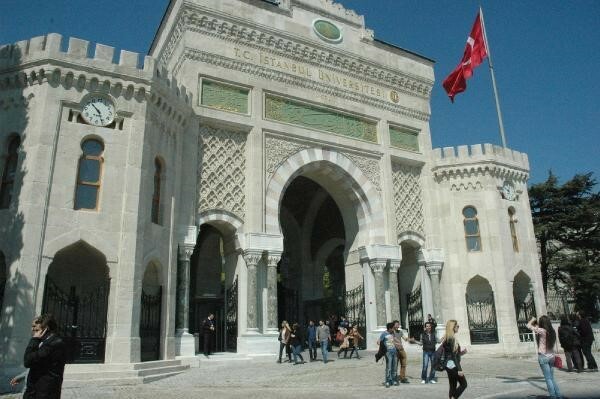 LIST: Istanbul University is ranked in 106th, among 6.163 European Universities. TURKISH COUNCIL OF HIGHER EDUCATION REPORT: Istanbul University is at the first place in producing academic publications in Turkey. REMARKABLE PERSONS: There are plenty of remarkable politicians, scientists and artists in Turkey who are graduated from Istanbul University. According to the reports prepared by the Council of Higher Education, the Istanbul University is a university that produces the greatest number of academic publications in Turkey. It is ranked within the “Top 500 Universities of the World” according to a research by the Jiao Tong University in Shanghai. It has academics that produce pioneering studies in the fields of Social Sciences, Life Sciences and Health Sciences under its roof. The Istanbul University also provides the undergraduate students with an environment available for producing scientific projects. 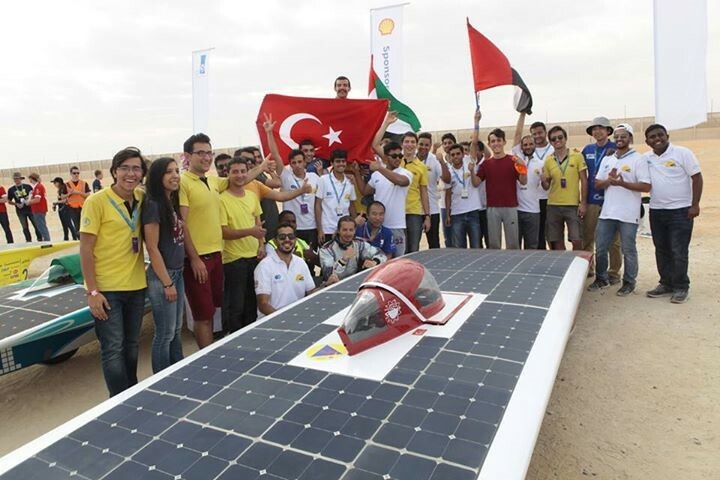 Socrat is a project developed by the students of the Faculty of Engineering of the Istanbul University and it is the 2009 and 2010 champion of the Formula-G Solar Car Race that is organized by the Scientific and Technological Research Council of Turkey (TÜBİTAK). The Socrat team joined several Championship around the world from 2011 in Australia. In addition to the faculties, there are 3 rectoral subsidiary departments, 1 school, 7 vocational higher Schools, 16 institutes, 61 application and research centres and the state conservatory. There are approximately 5,100 academics and 7,000 administrative staff to serve 178,900 students in the Istanbul University. The symbol of the university that is operating in 12 different campuses consisting of Beyazıt Center, Laleli-Vezneciler, Vefa, Horhor, Avcılar, Çapa, Cerrahpaşa, Şişli, Kadıköy, Bahçeköy, Bakırköy and Büyükçekmece, is the historic campus located in Beyazıt. The campus, which is located on the historic peninsula of Istanbul, both right in the heart of the hustle and bustle of the city, and within a great garden, is also very significant for its architectural buildings with historical and aesthetical values. The main campus of the Istanbul University in Beyazıt was formerly being used as the Ministry of War. This building was given to the Istanbul University on September 12, 1923. The Main building that was built in three floors was constructed with an eclectic style in which more than one style was used. Especially the marble columns, the stone engravings and the ornaments on the walls and the ceiling of the Blue Hall are some of the most remarkable aspects of the building. Today, a large part of the building is used as the administrative management centre of the Istanbul University, and at the same time, with the academic meetings, exhibitions and concerts held there, it is the most important culture and art centre of the university. The most famous section of the main campus is the main entrance gate, the picture of which was printed on the TRY 500 banknotes that were available between 1971 and 1984. Previously, there was a very different building on the current place of this main entrance gate. This initial gate that was constructed in 1827 was very similar to the huge gate of the Sublime Port (Bâb-ı Âli) on its Soğukçeşme – Alay Pavillion side. While the Sublime Port (Bâb-ı Âli) represented the power of the state in the Ottoman State, the Serasker Gate represented the military force. The construction of the current gate was started in 1864. In the widening work that was started in Beyazıt Square in 1869, the new Serasker Gate and the pavilions on each side of the gate were used as the main elements of the square. This monumental door is not only the symbol of the Istanbul University, but also the symbol of “the concept of university” in Turkey. Entering the university also means entering this door with dreams. Another historic architectural building in the main campus is the Istanbul University Beyazıt Fire Tower. Actually, two other towers had been built before the present tower. The first of the towers, which were built in order to identify and intervene in the fires in Istanbul quickly, was constructed in 1749, and the second was constructed in 1826 as wooden buildings. The third tower that we see today was built by order of Sultan Mahmud II. It has 4 floors consisting of the flag floor, basket floor, signal floor and watch floor from top to bottom. On the side of the tower overlooking Beyazıt Square, there is an epigraph bearing the signature of Sultan Mahmud II. Beyazıt Fire Tower, one of the most important silhouettes of Istanbul, can be viewed from many parts of Istanbul. Therefore, the Fire-watch Tower was also used to notify weather for some time. Yellow indicated fog, red indicated snow, and green indicated rain and blue indicated clear weather for people in Istanbul. One of the symbols of the campus is the statue of Atatürk that has an important place in the history of Istanbul and that has been placed in the garden of the main campus by the young people. The story of the Monument of Atatürk and Youth constitutes one of the best examples of the solidarity of the students. The Istanbul University is at the same time the core of other universities in Turkey and has constituted the substructure of them with its faculty members as well as the students it raised. The history of the Istanbul University, one of the longest established brands of Turkey, dating back to 1453, is also the history of the academic education and development in Turkey.